Note that OEFinder relies on a series of permutations. We had to run OEFinder on a cluster-based computing system. The results indicated that there are 549 OE genes (out of 20419 genes). 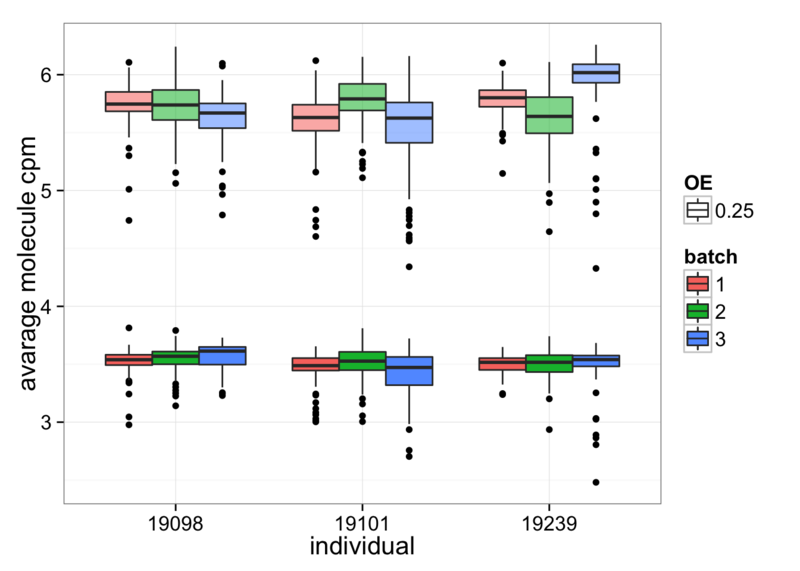 GO analysis (DAVID) of these 549 showed that their functions related to membrane lumen (organelle lumen), ribosomal protein, and RNA processing (splicesome), suggesting that they might be all highly expressed genes. Upload molecules-single-ENSG.txt and capture-site.txt to OEFinder Shiny GUI interface. 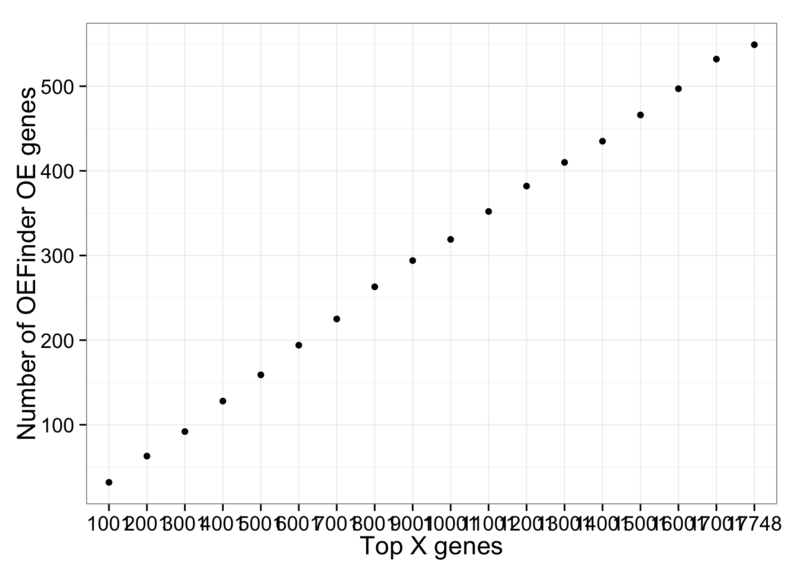 To answer the question if OE genes are more highly expressed, the average molecule CPM of OE genes or of all genes in each cells were plotted. If the OE genes are highly expressed, it is possible that this position effect is present in all genes but can only be observed with certain amount of expressing level.